Today we have a guest article from author Sandra Vasoli. I’ve known Sandi for a few years through The Anne Boleyn Files and I’m delighted to welcome her here to tell us all about her experience seeing Henry VIII’s love letters to Anne Boleyn. When Sandi told me about the letter Henry wrote to Anne when she had sweating sickness, I just had to get her to share all the details here. Enjoy! One can almost picture a royal page, gripping a lantern which pierced the darkness of deepest night, knocking tentatively at the door of the King’s chambers. Tense with anxiety, the servant delivers the dreaded message to Henry VIII, who had just been roused from sleep by the chamberlain at the Palace of Tyttenhanger, where Henry and his Queen, Katherine of Aragon, were in temporary residence in a desperate attempt to evade the dreaded sweating sickness, then rampant in London. As is well known, there exists a cache of letters: 17 to be exact, which Henry penned to Anne over the course of several years. These letters, remarkably, are housed in the Biblioteca Apostolica, the Vatican Library, in Rome. It is a mystery in the story of Henry and Anne, and one subject to great speculation, as to how the letters made their way into the collection of papers, manuscripts, and documents owned by the Pope, and which, today, are kept under careful guard. In September of 2012, as part of my research while writing the fictional memoir Je Anne Boleyn, I was granted the great privilege of access to the Manuscripts Room in the Papal Library with a rare opportunity to study the love letters Henry composed. As I progressed through the various levels of security in the fascinating and intimidating realm of the Library, it became increasingly evident how greatly these letters are treasured and protected within the thick, ancient walls. I was the object of polite, but keen scrutiny by the gentlemen in the Office of the Secretariat, and by the Scriptores, the Assistants, and the Vice Assistants in Manuscritti – the Manuscript reading room. Once seated in the whitewashed room, the barrel-vaulted ceiling soaring overhead, statues peering down from alcoves carved into the walls, I waited while the decision was made by the Director as to whether I would be granted an audience with the documents which expressed the depths of the heart of Henry VIII. At last, I was summoned to be seated in the first row of study tables, directly in front of the administrators, and a Scriptore approached me and handed me a smallish book, quite unremarkable in its appearance. It was about 7 by 5 inches, and covered in a pale green fabric. There was no decorative element to it at all; in fact, it appeared almost as would a homemade keepsake book, the pages within bulging a bit. No gloves were required to be worn, yet I knew that this was something I would touch minimally, and only with the greatest of care as I examined it. I was overcome with the awareness that I was inches from something so personal, so intimate – a message written by the hand of Henry VIII intended only for the eyes of Anne Boleyn. And 485 years later, there sat I, scrutinizing the same scratches of the pen, the same words crossed out, the same smudges made by his very hand, as did Anne. It was an experience like no other I have ever had. Very quickly, one could identify the unique markers of Henry’s handwriting. The strong, bold strokes, the decorative letter ‘q’, the broad slash ‘/’ which indicated the end of a sentence. I smiled to myself as I observed that he had a very difficult time maintaining the straightness of his lines of writing. In almost every letter, by the 4th or 5th line, there was a decided slant upwards, and by the end of the page, the words crowded themselves toward the upper right corner. Also fascinating was the difference he used in ink color and the thickness of the pen nibs. Each variation created a quite distinct feeling for that particular letter. In my view, it became very apparent which letter was written first in this series (though it is evident by his own statement that Henry had written other letters to Anne, but perhaps none of such a personal nature). The early letters were formal in their composition, their execution, and their penmanship. This would make sense, based upon the fact that Anne had not yet determined her position with regard to Henry’s feelings for her. He courted her with beautiful writing! Henry’s frustration with Anne’s absence and her reluctance to commit to him appeared clearly in the letter which was pasted fourth within the Vatican’s book (they are not placed in a particular sequence in time, nor are any of the letters dated). Written with unusually large, bold strokes, well-spaced and purposefully transcribed, Henry states that he is in great agony, not knowing how to interpret her recent letters (they are not known to be in existence – if only we had them today!). It is not difficult to imagine Henry, reading and re-reading Anne’s letters, analyzing very word, seeking to know if she would promise to be his. When he could not determine it, he wrote her what is well-nigh to a command, but only one of the most romantic nature, telling her that it is “absolutely necessary for me to obtain this answer, having been above a whole year stricken avec du dart d’amours” – with the dart of love. My interpretation of the events documented early in their romance leads me to believe this letter was written in the late autumn of 1526. In response to this ‘command of the heart’, Anne capitulates – its own element in their love story also very touching – and her reply causes Henry to compose a beautiful missive: the letter in which he first inscribes the famous heart. This reply represents the most careful, most beautiful penmanship in the collection. The first letter of the first word, ‘D’ is created almost as an illumination: dark and dramatic, with a flourish intended to set the tone. That first line is exactly inscribed thusly: « De l’estrene si bel que rien plus (notant le toute) je vous en marcy tres cordialement… » ; meaning ‘For a present so beautiful that nothing could be more so (considering the whole of it), I thank you most cordially…’ This letter finishes with a decoration he added to the close: his initials, thoroughly embellished, enclosing the very tiny words “aultre” and “ne cherse” (‘Henry seeks no other’ than AB), and in the middle of all, a long, carefully drawn heart with AB at its core. The whole was clearly intended to present a special visual message, and it is one that cannot be mistaken. As I turned the leaves of this book, fingers barely making contact with the edges, I literally drew in my breath in shock at the sight of the letter on the tenth page. Splattered with droplets of ink, smudged from his large hand smearing the extraneous drops, and its look in such great contrast to the other entries, I was stunned to see the pained letter Henry wrote in the middle of that night in June 1528 when he learned his love had fallen ill of the sweat. Composed in French, it was plainly written in a state of panic. The quill had been jabbed into the inkwell with every few strokes of the pen. This was apparent because the application of the ink to the page was dark, with a fine surrounding spray as the nib caught at the parchment in haste. It was amazing to see, at close range through my magnifying glass, the marks of his hand as it tracked to the right along the page, smearing what had been spattered in his haste. His message, as the pen attacked the page, is emotional and almost pathetic in its poignancy. He states that he would willingly bear the illness in her place, and bemoans the fact that they are apart at such a terrible time. He is distraught because his primary physician was unavailable, saying that “to obtain one of my chief joys on earth – that is the care of my mistress”, he will instead immediately send William Butts, his second physician in command. He then beseeches her to do as the doctor advises. He closes by telling her that he hopes to see her again, which will be a greater comfort than all the precious jewels in the world. He tells her that he is, and forever will be, her loyal and most assured servant. He then encloses his initials around hers, which he again encases in a heart, drawn with an unsteady hand. As I sat looking at the whole of this letter, so plainly the work of a man completely and totally in love, I will admit it brought tears to my eyes. The depth of his feeling for her was eminently visible. Reviewing the pattern of the letters, with this particular one representing a decisive moment in their relationship, my view of their love story was reshaped forever. I have no doubt that Anne was the love of Henry’s life, and I felt very privileged to have been able to gain such an insight. This, and the following letters in the collection, which grow ever more familiar in their tone and their appearance, as did the couple in their affiliation, record one of the most fascinating love stories of all time. The confiscation and delivery of the cache of letters into the hands of Pope Clement VII has been a serendipitous gift to the following generations, since they have been preserved as documentation of this historic love story. Over the next days, as I went about my business, the King was rarely far from my thoughts. Finally, admitting to myself that my mind was constantly preoccupied with images of him, I decided to spend some time alone in my chamber attempting to sift through my sentiments for the truth. Gain unprecedented access to one of history’s most tumultuous love stories in Sandra Vasoli’s riveting debut novel, Je Anne Boleyn. Sixteenth-century England witnessed a roiling tide of changes—most of which were fueled by the scandalous romance between King Henry VIII and Anne Boleyn. The first volume of this two-part series tells the story of what really happened from Anne’s own point of view. In sumptuous detail, Je Anne Boleyn recounts the moment the lovers first met, as well as the powerful and climactic consequences that ensued. Scrupulously researched, this fictional memoir welcomes readers into the head and heart of one of history’s most misunderstood women. Learn how much Anne valued her female friendships, her desperate desire to bear children, and what lay behind her instinctive mistrust of Cardinal Wolsey. 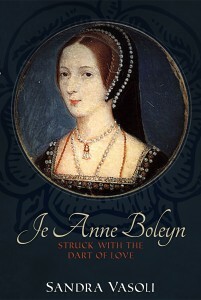 Readers will gladly come to know Anne Boleyn like never before. Available as a paperback and Kindle version from Amazon.com and Amazon UK. I’m sitting here at my computer with chills running down my spine. What a honor to be able to read these letters and touch them. What I wouldn’t give to view them. Thank you, Sandi for this post. I loved reading what you experienced as you reviewed Henry’s letters. I have never read such a description before, when you describe the ink on the paper, and the way in which he wrote these letters, it truly brings them to life. 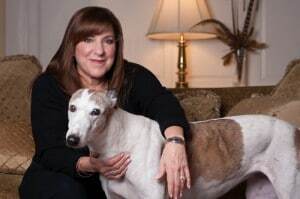 I can’t wait to read your book, and I love that picture of you with your cute dog! Wow. What is fascinating about this account is the analysis of the ink and particular the condition of the letter when Henry writes to Anne about her bout with sweating sickness. While I have read numerous accounts of the letters in several history books, none has discussed this detail. It really gives you insight into Henry’s feelings and particular his panic and despair over the sweat of 1528, which killed one of his closest companions William Compton and another close courtier, Mary Boleyn’s husband William Carey. I feel right now as if I have stood in 3 people’s shoes: Henry’s as he wrote these letters, Anne’s as she read them, and Sandra’s as she viewed them at the Vatican. I have read these letters countless times, yet never have I felt so completely wrapped up in the words, ink, and parchment. Sandra, if you have imbued your book with half as much emotion as you have shown in this this posting, it will be an amazing read. I look forward to experiencing Anne Boleyn through your eyes. Oh to know who took those letters, and why. It’s intriguing to think how they actually got their hands on them to start with, whether they managed it themselves, or did they have help from those a round Anne… a real life 500 year old ‘who dunnit’!! Sandra, Thank you so much for a lovely article-I really admire the deductions you made from viewing all the letters in such detail. Elementary, my dear! Yes, you have a bit of Sherlock in you. Looking forward to reading your book. And wishing you the very best with it! Thank you Anne. What I have found amazing – and also from seeing the famous Book of Hours in the British Library, is how readily myths and assumptions about history and historical figures are so readily passed from mouth to ear, down the centuries. Claire has said this in her book about George Boleyn, and even a writer of the acclaim and selling magnitude of Hilary Mantel, has passed along those common assumptions about Anne, and George. It is a bit unfair! I discovered, while looking at the gorgeous Book of Hours, in which Henry and Anne wrote to each other, that the accepted story of them scribbling a love note to each other in mass was probably very unlikely. Yet that is the accepted tale (a small fact in the larger picture of history, I know, but even so…). I have created what I feel to be a more feasible description of that event in my book. We are just luck to have that piece still in existence, and I was just struck, when I sat with it, how much these things want to tell us about what really happened! Considering the provenance and current location of these documents, it is no doubt one of the few times over the centuries that a sympathetic female hand, other than Anne’s herself of course, has touched these priceless documents. Certainly Sandra’s deeply intuitive interpretation of the meaningful clues she detected in each letter bring more life to Henry’s feelings than anyone else’s written description ever has! It touched my heart and also brought tears to my eyes, as I experienced through her realizations, how Henry must have felt while trying to convey his deepest feelings, simply through ink on parchment, to his beloved Anne. And, of course, one can only imagine how Anne herself must have felt picking up all the subtle clues contained in each letter in those days when letters, gifts, or emissaries were basically the only means of remote communications available to people, and then only to the very few most elite. Who could miss the meaning of the little heart within Henry’s name, with Anne’s initials? She lives in his heart! By the way, for those who are open to considering the Eastern concept of karma (action/reaction as it affects the individual soul), it is recorded in the Vedic scriptures of India, older by a considerable amount than these letters, that when a person is “killed by the King” it erases any reactions to their deeds, both “good” and “bad”, done in that particular life. Perhaps that will help a bit those who may be open to that view, and who wonder what might have happened to those of whom we are speaking. Anne’s end, paradoxically, might be considered very good fortune in this philosophical view, particularly if there were any negative results to her actions during those bloodthirsty times! Of course, as the very nature of the soul itself is said to be eternal, conscious, and blissful, then love itself would remain forever. In other words, Love never dies! Best to end on that note, yes? Hi Anne – I could not agree more! Very interesting premise! I believe that Henry loved Anne for the rest of his life. After her death, things didn’t go that well for him…! Yes, I do believe that love is timeless, and eternal. Diana, it is a fairly long and complicated process. In communication with the officials at the Library, one needs to prove that there is a valid reason – research based – for the request. Then there are numerous documents required ,with testimonials, which need to be submitted. Then you wait to see what the reply is in writing. (All in very formal Italian!) Once that is accomplished, when you actually arrive, there is no guarantee you will either be admitted, nor is there reassurance you will see the letters. Which is why by the time I was permitted to see them I was already a nervous wreck! Simply amazing! I can’t imagine being able to see such precious documents. And yet it’s so hard to fathom how so much love could turn to hatred and indifference. Yes, people get divorced-too many these days-but to railroad her the way he did with such ridiculous accusations. It’s mind boggling to me that he could risk so much for her and then throw her away as he did. And even if she had produced a male heir, who’s to say that he wouldn’t have divorced her simply because she didn’t allow his dalliances and was too outspoken. Endless possibilities for speculation! Thanks Sandi , or such a lovely piece of writing! Thank you so much to Claire for posting this account on her wonderful website. And thank you to everyone who has commented here. It really warms my heart. It is pretty hard to express what that day was like – an out-of-body experience from beginning to end! There was no doubt to me that I was entitled to what I might call an ‘otherworldly experience’. Claire has written of this herself – being prompted by an unspoken force to do what she has done so well on her site. Hi Sandi – guess I am a bit late to comment but I didn’t realise that Henry wrote to Anne in French. Is this because she could only read in French and not in English, or do you think Henry was just being romantic? Sandra thank you for sharing this experiencie I definitely felt something strong when you described the way that particular letter was written and how you felt without a doubt that she was henry´s love life. I ´ve been reading a lot about them and sometimes I concluded that he didn´t love her, but you made me changed my mind today, you really made me think about the whole thing and re-capitulate again, beacuse thatt something you felt, you touched and simply just knew when you read the letter. So this just make me sad, and makes me wonder, why if he love her so much, why kill her? P.D. Sorry if my english is not well written I´m writing from Cancun, Mexico my native language is spanish, but i´m doing my best. And by the way, Claire if you read this I like your page very much! You did very well May! And I am glad I allowed you to think differently about Anne – and especially about Henry. I am just certain he loved her wholeheartedly. And I am even more convinced that she loved him back, just as much. This is the premise of my book. What went wrong? We will never really know, but I suspect it was a very deep emotional issue between the two of them…along with some other factors. I hope to present a reasonable, but new theory in the second book to the Je Anne Boleyn series, which I am working on now. Sandra, I loved reading your article! I took me right back to the day I was in that first row seat in front of the three clerks who for the life of them couldn’t figure out how I had gotten the privilege of being there. Having that little book handed to me, opening it and seeing Henry’s letters, just as you described is something I will never, ever forget and a memory I will treasure forever! I can just imagine how Anne felt! Thank you Linda! You inspired me to try to gain access. I really would love to chat with you about it some day soon. I do remember sitting in there, among all of these amazing scholars, thinking, how did I get here? I watched a man, next to me, reading a crumbling book which I later discovered to be Coptic Greek – the most ancient of languages, and I think he was studying one of the testaments! It gave me chills! Great article! Thank you for sharing your insights with us. The Vatican library looked amazing. I would love to go there and spend the day among the shelves. What treasures would I find? I can’t wait to read your book. I am beginning to start quite a collection of books on Anne Boleyn and the Tudors and I can’t wait to add yours. Firstly Sandra recently downloaded and started the book which is excellent and drawn into Anne’s world; so cheers for the book. Secondly what a lovely article and a privilage to view such rare and touching original documents; the most famous historical love letters of all time I believe. The documents are rare and I have only seen historians on TV have access to copies; so the real thing must have been a thrill. I have seen a series on the library and some of the contents and it is a real treasure trove for historical research but only a few people can have access; so you are very lucky. Wow! It must have been a real treat to see the words of Henry’s bursting heart first hand and the few replies that we have from Anne. It is a pity that we do not have to complete letters as there must have been more; some can only have gone missing that are replies to some of the Kings letters; and placing them in order I believe has caused some debate and amusement with historical context reconstructionof the documents and the events they refer to. I believe that Anne held out and did not respond save with short notes and gifts for a time; until 1526-7 and then she began to respond and a true relationship began. I also love some of the snippets of information that creep in that give us a glimpse as to how things are going on the divorce, such as the letter Henry writes iin a hurry to Anne saying that the representative from the Pope has arrived at Calais and will be at court in a few days. He holds out hope they will both soon be married, but tells her he can say no more now for lack of time. Then of course we have letters full of Henry the schoolboy in love and concern for his beloved when she is ill with the sweat. It is all at times confusing, but a wonderful thing to witness this inner writing of the heart as well as the wonderful emotions that are going on. As I say, I think some letters are missing, but you do get a real sense of a passionate and intense affair. Hi BanditQueen and thank you for your lovely comments about my book. You are right – it was such an amazing opportunity to actually be sitting there with these precious letters in front of me that the entire day was an out-of-body experience. I kept waiting for someone to say No! you will not get to see them! And when I did, I just could not pore over them closely enough. You are only allowed a notebook, two pencils, and a magnifying glass. So I stared at them, every square inch, through the magnifying glass, scribbling notes, for over 4 hours. I hated to close the book and give them back! When you see Henry’s handwriting, up close and personal, he becomes so much more human, and even though he was ultimately responsible for her death, I can’t but feel much more sympathy with him than I did before I studied these letters. Thank you for your comments! It is a fascinating subject. I am quite late in seeing this post but I must say it had me utterly captivated. I am an avid reader of this page but seldom feel the need to comment but this post really came to get me. Your description had me feeling like I was looking at the page myself. I am extremely excited at the idea of reading your book. If it is even half as well written as this post, I`m in for a treat! Thank you for this wonderful venture in the heart of this most fascinating love story! Thank you Silver!! It was an amazing experience. I so hope you enjoy the book. I really feel I was writing as Anne would have wanted her story told! I would value your comments, you can reach me via my website http://www.sandravasoli.com. Anne Boleyn is my favorite historical figure. I had been able to get your book off of Amazon. Brilliant, creative, and descriptively well-written are some words to describe it. You captured with accuracy who Anne Boleyn was the way that I imagine her to be. It definitely must have been exciting to be able to see the beautiful love letters that King Henry VIII had written to Anne Boleyn. His letters end up being full of deep emotion that came from his heart which can let one imagine how excited and frustrated he must have been in trying to convey those feelings to Anne when it came to him committing them to paper. Few people have gotten access to them with them mostly being historians so to get to see them so for you to see them must have been a fascinating experience to have had. The letters allow you a glimpse into the mind of King Henry VIII. Anne had been different from the rest of the ladies at the English Court with her chestnut brown hair, her dark brown eyes, and her different coloring from them that made her considered being only pretty, but she had brilliance, charm, drive, elegance, a fun loving nature, grace, a sense of humor, vivacity, and wit that made her unique as well. She benefited from being extremely well-educated in arithmetic, her family genealogy, grammar, history, reading, spelling, and writing and capable of speaking both fluent English and French along with her knowing some Italian and Latin. Anne came to be well-read on many different subjects to intellectuality keep her own in discussions on a variety of topics, did dance well, excelled at playing several musical instruments including the clavichord, the flute, the harp, the lute, the rebec, and the virginals, and had a fine singing voice. She did dress fashionably in the latest French fashions. 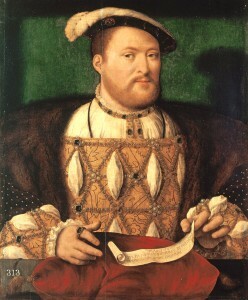 Anne enjoyed cards, chess, and dice games, drinking fine wine and eating good food, gambling, and hearing a good joke, was fond of outdoor pursuits such as archery, bowls, falconry, going horseback riding, and hunting, and greatly loved the arts, literature, and poetry just like King Henry VIII did. King Henry VIII would have felt attraction for someone as exotic as the nearly French Anne at the English Court. I think by getting to know each other the both of them accepted each other for who they were, cared about each other, and did fall in love with each other since they had been so much in common and kept up with one another. Their relationship ended sadly with Anne’s tragic death, but I think King Henry VIII never truly was able to forget about Anne despite his best efforts to do so since merely looking at their daughter Elizabeth must have reminded him of her. I wanted to thank you for your kind and generous comments about my book. I am so very glad you mentioned that Anne was depicted as you have imagined her. That was what drove me to write in the first place – I felt that I had never really read about Anne as a real, thinking, emotive 20-something woman. Although 500 years have passed, women are constructed a certain way and I think we all experience the same fundamental drives and desires. What I love about your post is the creative and, I believe, very accurate way you have observed Anne. Why is it that so many writers and historians depict her in such a two-dimensional perspective? There is no doubt that she was enormously smart and talented, just as you have described. In an era when so many women were uneducated, and hence did little but bear children and perhaps run a household, Anne was a serious patron of the arts ( was probably the first in Henry’s court to sponsor Hans Holbein the Younger – and we all know how much he accomplished in the English court! ), she was a student of architecture, and as you have said – of fashion, of language, of sportsmanship, and in the very complicated arena of theology. I can tell you, having ridden horses for most of my life, and also having participated in cross country hunts, hunting is difficult! And scary ! She had to have been a fearless, strong, athletic woman to have hunted as regularly as we know she did with Henry! Just the fact that she did so tells us also a bit about her appearance – she must have gotten sun, and color, on her face. It would be almost impossible to ride out all afternoon in the spring and summer without getting a bit of a tan. Did she have freckles? Maybe! the sun can do that to one’s skin. … hence, possibly, the accusation that she had moles! So – it is these kinds of commonplace things,when one thinks about the reality of how life is now, and must have been then, which tell us alot about Anne. And I find these facts fascinating. Very much like looking closely at the letters. When you inspect them, and you see his writing as he poured his heart out to her, and you realize that they were meant for her eyes only – it is easy to see how sincere he was, and how much he loved her – waited for her – longed for her. I just believe that she felt the same way for much of the time they were together. She loved him passionately. From a historical perspective, it is a good thing the letters were confiscated as Henry would surely have had them destroyed if they had still been in Anne’s possession. They are tangible proof that Henry once adored her. Thank you for your wonderful account of your experience, it made me feel as if I was there myself. I can’t wait to read your book.